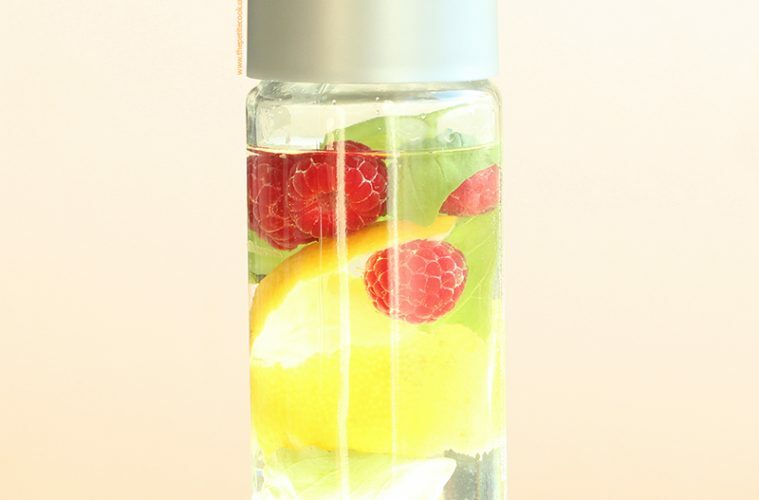 This sweet and tangy raspberry and lemon detox water is super refreshing, lightly sweet and has been 100% approved from the whole family! 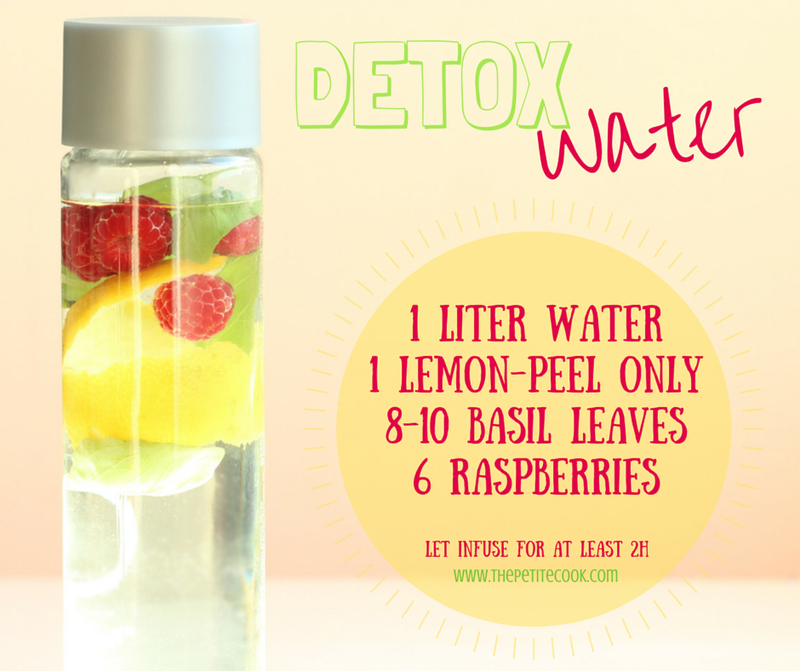 I love mixing up ingredients and flavors when it comes down to detox water. I usually change mix every week, so I can try new vibrant combinations every time. This week is the turn of a new fruity detox water, and it’s one of my favorites so far! This detox water is made to easily keep you hydrated and flush away all those nasty toxins from your body, on a daily basis. It’s super easy to make, you only need fresh organic raspberries, a sliced lemon peel and a bunch of fresh basil leaves. Put them all together into a jug of filtered water and refrigerate for at least 2 hours. After that, you’re ready to enjoy your detox water! I usually drink half a bottle of detox water first thing in the morning and by lunchtime I’ve finished it already. Make sure you don’t reuse the ingredients, but you’re welcome to eat the fruits(I usually eat them). 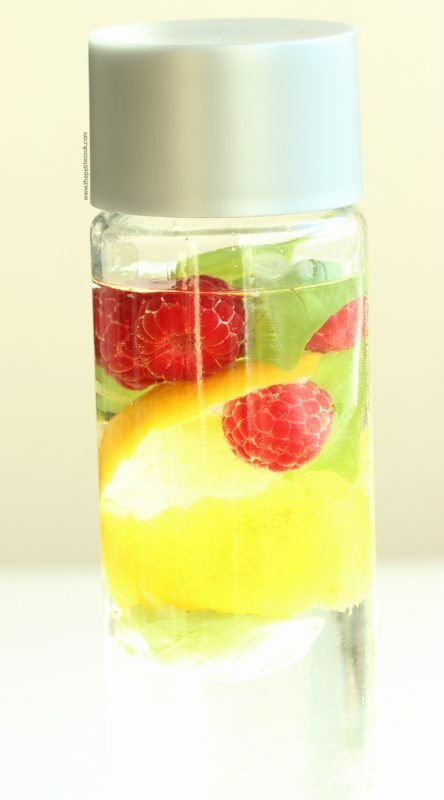 Raspberries and lemons make the perfect mix of sweet and tart flavors, plus they fill up this detox water with antioxidants and vitamins. Raspberries are among the healthiest fruits and are super beneficial for your health. They have a great nutrient content which includes antioxidants, fiber, iron, magnesium, potassium. They ‘re also a fantastic source of vitamin A and K. Add a bunch of fresh organic raspberries into your detox water to enjoy their health benefits, then, simply eat all the raspberries you’ve used, they’re still yummy! Raspberries are also a very low cal fruit which keeps you light and makes for a fantastic snack after gym ( or a long play session with the petite dog in my case). Detox waters are proven to help flatten your belly, by helping you eliminate harmful toxins in our body. There is no magic behind this drink, water itself is the best recommendation for detox. Adding fresh healthy herbs and fruits only gives an extra income of vitamins and antioxidants that are good for you. Looking for more inspiration? Check other detox drink recipes! Can I mix a varity of fruit in one container.